Shh! 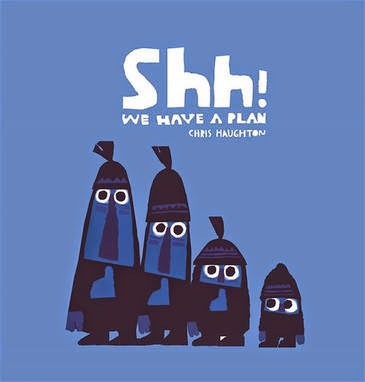 We Have a Plan is a children’s picture book created by author/illustrator, Chris Haughton, and published by Walker Books, 2014. Four friends, three big and one little, are out for a walk. Suddenly, they spot it – a beautiful bird perched high in a tree! They simply MUST have it and – SHH! – they have a PLAN. So they tip-toe, tip-toe very slowly, nets poised – "Ready one ... ready two ... ready three ... GO!" But, at the turn of the page, we find a ridiculous bunch of very tangled characters and a blissfully oblivious bird, flying away. One hilarious foiled plan after another and it's clear that this goofy trio CANNOT catch that elusive birdie! But the littlest of this group, a quiet spectator up until now, knows that a bit of kindness and sweetness can go a lot further than any elaborate scam. Will his three friends follow his gentle lead or will they get themselves into even more trouble? 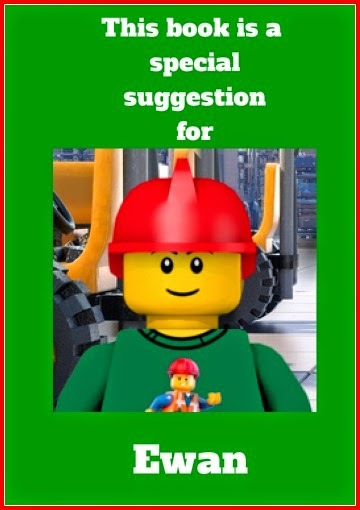 I've previously reviewed Oh No George! and A Bit Lost also by Chris Haughton. In Shh! We Have a Plan, Haughton again gives us the wonderful artwork with limited palette that makes his work so distinctive. We also have his trademark quirky sense of humour, and characters which appeal to children and adults alike. The story follows four characters: the littlest who wants to greet and feed birds, and the other three goons, who want to sneak up on them and capture them. Littlest is constantly shushed by the others who are about to execute their masterful strategies that somehow always fail. It's a story kids will love for its dramatic tension, predictive humour and triumph of the goodies (animals) over the baddies (goons). They will love the bird revenge, and groan right at the end when the goons see a squirrel and immediately invent another plan!